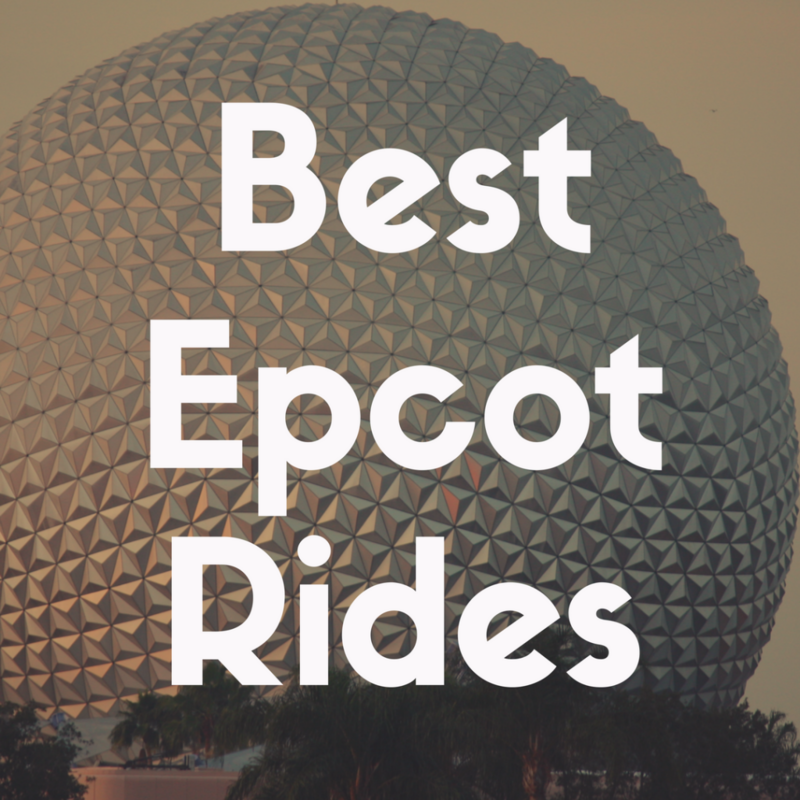 In this article, not only are you going to get great Disney vacation tips (because let’s face it, Disney World can be overwhelming), but I’m specifically going to provide you with my list of the best rides (and a few shows) at Epcot. Now, because Epcot has a lot of roots in being both an innovative and educational theme park, it doesn’t have as many rides as The Magic Kingdom. 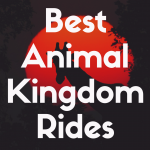 Because of that, not only will my list include rides, but also shows and other unique experiences that will be fun for both children and adults. It should be noted, too, that Epcot is a large theme park. And so, it’s a wise choice to enter this park with a plan. 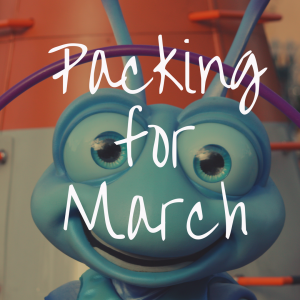 In other worlds, before you head to the park, you’ll ideally want to know a handful of the rides you want to experience before you get there, so you can manage your time (and save yourself a lot of unnecessary backtracking). Innoventions (technically, Innoventions is part of Future World, but it’s sort of its own animal, as you’ll see in #7 below). Now that you know the areas of the park, let’s begin making a priority list of attractions at Disney World, starting with my #13 on my list—Living with the Land in The Land Pavilion. 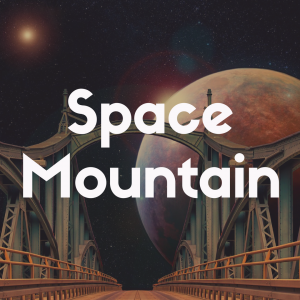 This ride chronicles the history of communication and technology, acting as a time machine that moves guests into the past, through the present, and on into the future. And, it’s located inside the giant geodesic dome (or golf ball, like many refer to it as). 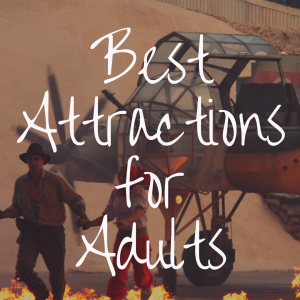 It’s easily the centerpiece of the park, and you can’t miss it, because it’s the first attraction or ride you have access to when you enter Epcot. This is a slow moving ride that’s mostly in the dark. But it’s not scary and tends to be quite peaceful and even educational. Judi Dench narrates this attraction, and during the second half of the ride, it becomes a bit more interactive and allows you to design your future via a computer screen that’s built into your ride vehicle. Check out our Spaceship Earth ride review here. While this is not a ride I would probably go on every time I visit, it is a ride you should ride at least once. It, basically, follows the history and development of food production. As you sit in the boat, you drift passed farmsteads, bayous, and other Disney-fied vignettes. ]The real treat, though, is when you enter the greenhouses and fish farms, which display more modern – and, at times, more efficient – means of growing and producing food (the fish farm is cool because, not only do you see fish, but there’s also a tank of shrimp swimming around. And, really, when’s the last time you saw a live shrimp at an amusement park?). In typical Disney fashion, Disney has managed to grow nine-pound lemons, as well as Mickey-shaped pumpkins. Because not even produce shapes are sacred. She’s cheeky. Very cheeky. I half expected her to whip out a tape measure, or force-feed me lime cordial cold medicine. Yes, she was quite interesting, and, while it’s fun to meet some of the other characters in the park, most of them are really geared for kids. Mary Poppins is not. Proper, always, but there’s a playful gleam in her eye that makes you wonder just what she’s up to. The cast member takes the role and owns it. Worth the time for all ages. Acrobats with chairs. Acrobats balancing chairs on other chairs. Acrobats balancing chairs on themselves. Acrobats balancing themselves on chairs. If you like chairs, and you like acrobats, then this street performance is for you! Okay, all joking aside, these people are pretty impressive. They do things with gravity that I would think impossible, and they do it over the hard pavement of EPCOT’s France Pavilion. I would not do what they do, personally speaking, but I don’t mind watching! And I suspect you wouldn’t, either. Acrobats with yo-yos! Acrobats balancing yo-yos on themselves! Acrobats. . . . Okay, so I’m sure you’re all familiar with the Chinese yo-yos, called diabolos. The Jeweled Dragon Acrobats, who perform at regular intervals in the China Pavilion, are remarkably adept at flipping these things in the air, making them spin for what feels like forever, and, generally just doing things that no sane person with a life would ever dream of doing. Thankfully, these people clearly have no lives, sacrificing any hobbies or families they may have had for your entertainment. Be sure to thank them when you’re there. At the edge of the Norway Pavilion sits a tiny, thatched-roof church. It really doesn’t look like much, and you’ll probably be tempted to bypass it. I did for years. But do yourself a favor and stop in – even if you only do it once – and check the place out. It has clothing, art, and various other artifacts from Medieval Norway. I have to say – and this disappoints me slightly – the church used to simply be a monument to Norway. It has since been rebranded as a gallery featuring “the culture that inspired Disney’s Frozen.” I get it – it’s popular. I even liked it. But The World Showcase, which used to showcase the world, is now converting into a vehicle being used to showcase Disney stuff. However, that doesn’t change the fact that the church is still cool. Find a place to eat dinner at EPCOT, and then stay for IllumiNations. Now, if you’re like me and are relatively unimpressed with fireworks, you won’t need to do this more than once in your life. However, even I was impressed the first time around. What they do is synchronize water, colored lights, music, and fireworks, and present a program that really just celebrates the world (. . . kind of like . . . the World Showcase . . . you connecting the dots now? I thought so). A word of warning, however: it starts at 9:30 PM, but you’ll want to get there an hour or more ahead of time to get a good spot. Or…you can hang out in the Canada Pavilion, outside the Northwest Mercantile store for a great view. Remember those old-timey car rides, where you climb into a car and it putters around the track for a few minutes, and you pretend to race other cars, even though you can’t actually race them? This ride changes that. In this ride, you can race other cars. The queue is equipped with an interactive station that lets you design and modify your car based on several criteria (e.g., speed , maneuverability, etc.). Then, when you board your car, the ride reacts to the track based on your design. At the end, you can check out your car’s performance, and see how it stacks up to other cars. Pretty cool, right? The downside? You have to be 40 inches to ride, and, without a FastPass, you’re looking at an almost two-hour wait time. So be sure to plan ahead! Innoventions – EPCOT’s way of smushing together “innovation” and “inventions” – it a pavilion designated to entertainment and education through state-of-the-art games and presentations. Now, a caveat: I cannot tell you what to expect, because every time I’ve been to EPCOT, the Innoventions pavilion has changed. The first time I went to EPCOT, there was a great deal of cool stuff, including an awesome video presentation by Bill Nye. Four years later, Nye was gone, and something else was in its place. Over the years, I’ve seen games about finances, a Wallace-Shawn-voiced hologram manipulation game (like in Iron Man, but real), involving the organs of the body, and a whole slew of other things that I can’t even remember. The point, though, is that it’s totally worth checking out, because there’s bound to be something of interest for everyone. The ride, just in case you have been stranded overseas on a magical island populated by polar bears and smoke monsters, is a motion-simulator set within an IMAX theater. The basic feeling is one of hang-gliding over various natural and man-made wonders of the world. What’s really awesome is that EPCOT uses things like water mist, fans, and scent capsules to simulate being out in the open, flying over these landmarks. Now, in the old version, when you flew over an orange grove, the theater smelled very strongly of oranges. It’s a bit different now, but still worth a ride, no doubt. Oh, and you’ll probably want FastPasses for this one. 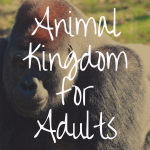 Yes, I am putting a water fountain (uh, decorative, not drinking) on this list. No, I am not hard-pressed to find attractions. The Fountain of Nations – despite having its own ceremony when EPCOT first opened in 1982 – is really easy to overlook. In fact, it really just sort of blends in with the scenery, appearing to be just another fountain shooting jets of water into the air. But, like IllumiNations (see #8 above), The Fountain of Nations changes and responds to the music of the park: when the music gets loud, or increases in tempo, the water jets speed up, and the lights shining on the water change hue. When the music slows down, the water calms down. Lights and water pressure pulse to the beat of the music. It’s not an exciting, grab-the-edge-of-the-seat ride, and it’s not a flashy show laden with special effects, but it’s really peaceful to sit on the benches around the fountain and just enjoy the quiet time. There used to be a café next to it, but that closed a few years back. Located in the Japanese Pavilion, the Mistukoshi Department Store offers a rather large array of imported merchandise, ranging from toys to dishes, even clothing. I’m not much for shopping (unless it’s grocery shopping, because, you know . . . food), but this store is pretty awesome. Some things from my childhood are still popular in Japan, like Voltron, and, guess what? You can buy Voltron toys here. Your daughter obsessed with Hello Kitty? Good news! You can say “hello” to that Kitty in an entire wing of the store. Oh, and everything ever related to Studio Ghibli, the animation studio that brought us My Neighbor Totoro and Spirited Away? Yep, that too. I’ve never, technically, bought anything there, but it’s really fun to look around. And if you’re looking for something special to buy your lovely lady, they have a tank with live oysters, and for a small (roughly $17) fee, she can select an oyster, they will open it, and she gets to keep whatever pearl is inside. For another fee, they’ll set it in the jewelry of her choice (those prices range from $10-$25). And if you’re wondering what they do with all those oysters they shuck, there’s a restaurant upstairs, above the store. . . .
Mission: Space! utilizes actual astronaut training technology to simulate a journey into space. The G-forces you feel as you “exit the atmosphere” are real, and the experience is like nothing I have ever been on, before or since. Plus, it’s hosted by Gina Torres of “Firefly” fame, so . . . why wouldn’t you go on it? What’s that? Afraid of a rough ride with jolting and things like that? Well, no worries, you can opt for the Green Mission, a low-intensity orbit around the Earth (as opposed to the Orange Mission, which involves crashing on Mars). Still not sure? Well there’s also a Spacelab you can look around. This is an interactive waiting area for people too wimpy to . . . I mean, too delicately balanced to ride the actual ride. Yes, I have listed an entire pavilion here, because the layout and attention to detail are superb. Yes, there are some nice restaurants in the Morocco Pavilion (the Restaurant Marrakesh is tasty), but the pavilion twists and turns, with merchants and booths lining the walkways, laundry hanging from the buildings, and a space that seems to stretch on without end. I’m not entirely sure how they did it, but where all the other pavilions feel like, well, pavilions, the Morocco Pavilion feels like being in Morocco. 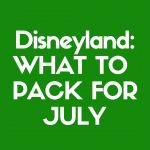 You may want to either get a FastPass for this, or time it just right. Even though I have not had to wait in line for several years, the basic consensus online is that the wait times are worst midday, and can run up to an hour. The only time I have experienced a lengthy wait was during the ride’s second year in existence (i.e., still new), but a FastPass probably wouldn’t hurt, just in case. Check out our Turtle Talk with Crush show review here!